Today we travel to Indianapolis to visit the 2016 NTEA Work Truck Show thanks to our friend Tom Shand. 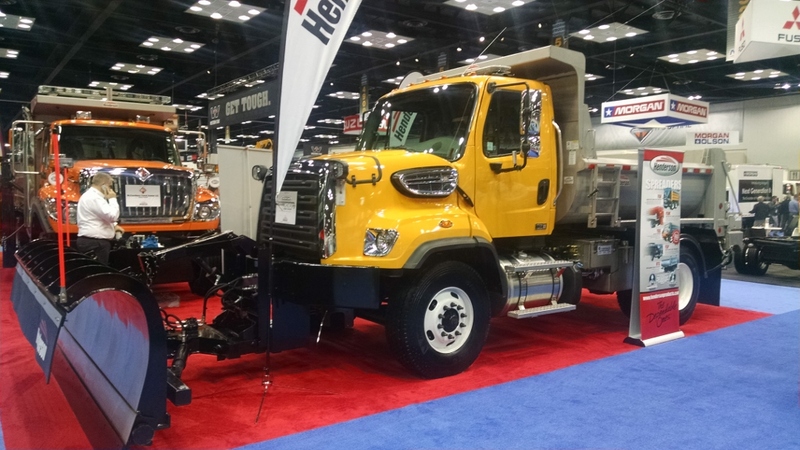 Every year hundreds of vendors and suppliers gather to show the latest products and offerings for vocational trucks. At the Work Truck Show you can meet with various vendor representatives, examine actual products first hand and even take a test drive or two. If I had to think of consumer analog for this show I would choose SEMA. The main exception being most of the truck add-ons seen at the WTS help you and your truck make money instead of simply costing money. Thanks to Tom for his detailed notes regarding each truck which should show above each photo in the gallery below. This entry was posted in Truck Show and tagged ntea, work truck show. Bookmark the permalink.